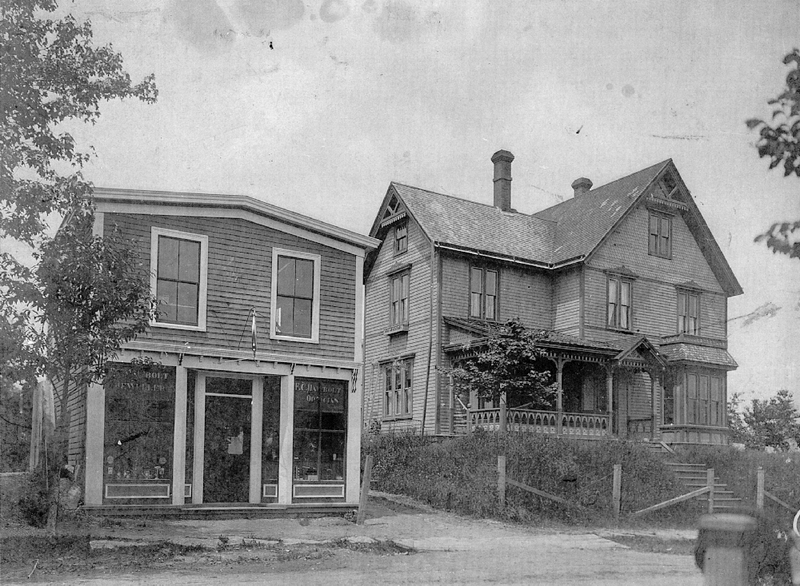 The Forman Hawboldt jewelry store, next to it the Hawboldt residence that burned down in 1935. Behind the house was the building that was used as the first foundry. The jewelry store was later moved to the corner of Pleasant and Central Streets in the village and used as a retail store and residence.